Diamond Direct Buy has some famous clients including a TV producer, Tv personalities and hosts of a few well known shows, Make Up artists as well as Sports Superstars, and Pro Athletes. I work with them direct one one one and have had custom pieces designed and made, with home delivered WITHOUT The customer having to visit one Jewelry store in person. Each purchase comes with full Confidentiality on their identity and price tag spent. So if you are someone who values your privacy and still wish to get the best deal on a Celebrity Diamond ring without paying a Huge mark up for a " fancy store" I would love to work with you . 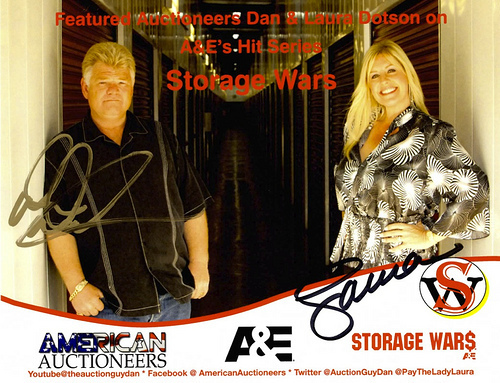 Storage Wars (stylized as STORAGE WAR$) is an American reality television series on the A&E Network that premiered in December 2010. The show features the auctioneering couple of Dan Dotson and Laura Dotson, as well as buyers. Dan and Laura purchased a ring from Anna at Diamond Direct Buy!